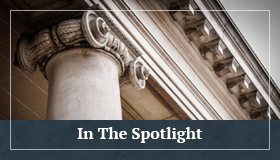 How New Jersey’s New Opioid Law Will Impact Workers’ Compensation Employers, Carriers and Third Party Administrators | Golden Rothschild Spagnola Lundell Boylan Garubo & Bell P.C. By: Catherine M Shiels, Esq. and Samantha E Hahn, Esq. On February 15, 2017, New Jersey Governor Chris Christie signed a new law regulating opioid prescriptions and mandating insurance coverage for substance abuse treatment. Opioid abuse has become a national issue, and the related deaths have increased significantly in New Jersey. In his January 10, 2017 State of the State Address, Governor Christie challenged the State Legislature to provide a bill within 30 days that would address the epidemic. The Legislature responded, and the new law is set to go into effect on May 31, 2017. Workers’ Compensation employers, carriers, and third party administrators can expect to see changes in how prescription opioid treatment is handled and the related costs. The new law places significant restrictions on how opioids and other controlled substances are prescribed. For acute pain patients, an initial prescription cannot exceed a five day supply. After the fourth day, the provider may prescribe an additional twenty-five day supply upon consultation with the patient. Thereafter, providers may prescribe up to a thirty day supply with two additional refills before the patient must return for follow up. Prior to the law’s passage, medical providers could prescribe up to a thirty day supply at both initial and subsequent visits. The five day restriction does not apply to chronic pain or cancer patients. The cost benefit of the five day restriction to insurers is unclear. Workers’ Compensation insurers will benefit from the reduction of needless and excessive medication prescribed to some acute patients; however, the restriction will also require insurers to pay the costs associated with a needless follow up visit when it is obvious that the patient will require more than a five day supply of a covered drug. The five day restriction is the most limited in the country and was strongly opposed by the Medical Society of New Jersey. access relevant prescription monitoring under the Prescription Monitoring Program, which tracks all prescriptions for narcotics and opioids from all providers. Prior to the initial and third prescriptions, the provider must counsel the patient on the risks associated with taking opioids, alternative forms of treatment, and the necessity of the prescription. At the time of the third prescription, the provider and patient must enter into a pain management agreement. At a minimum of every three months thereafter, the provider must review the course of treatment and assess the patient’s progress; the provider must document any evidence of physical or psychological dependence; and the provider must periodically make reasonable efforts to limit or stop the use of the controlled substance unless clinically contraindicated. Workers’ Compensation insurers can expect more detailed reports from treating providers prescribing opioids. 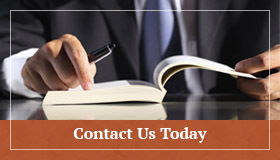 Additionally, the law requires health insurers to provide coverage for substance abuse disorders. Health insurers will be required to cover up to 180 days of treatment when determined necessary by a medical provider. The insurance mandate does not apply to most large employer plans or Federal Medicare and Medicaid programs. From a Workers’ Compensation perspective, this new provision does little to alter the status quo. Workers’ Compensation insurers are already responsible for payment of reasonable and necessary medical expenses pursuant to N.J.S.A 34:15-15. This includes the costs associated with rehabilitation programs recommended by an injured worker’s authorized treating provider. The new law seeks to deter opioid abuse by preventing initial dependence and by providing affordable treatment to those suffering from addiction. If successful, it could prevent those with acute injuries from succumbing to substance abuse. It could also potentially reduce the associated treatment costs for Workers’ Compensation employers, carriers, and third party administrators. The law does not address the risks and costs associated with long-term opioid prescriptions for chronic pain patients. The difficulties Workers’ Compensation employers, insurers, and third party administrators face in managing chronic pain conditions will remain problematic.